I have to say, the palette itself is incredibly aesthetically pleasing. It certainly photographs well, at least. I fell in love with the palette based on the eyeshadow shades alone. I'm a big fan of shimmery eyeshadows and these shades are just gorgeous. 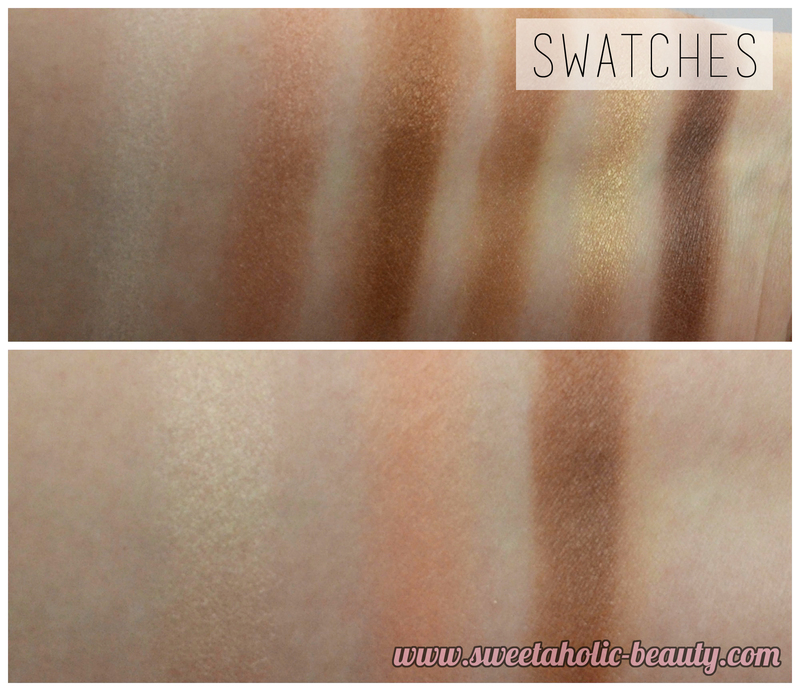 As you can see from the swatches, the eyeshadow shades are fairly decent in terms of pigmentation. The darker shades are definitely the better of the lot. The gold shade is my absolute favourite. The face shades are not too bad, but they're certainly not the best. I was pretty pleased with the pigmentation of the bronzer shade, though. Overall I have to say this palette is not too bad for the price. 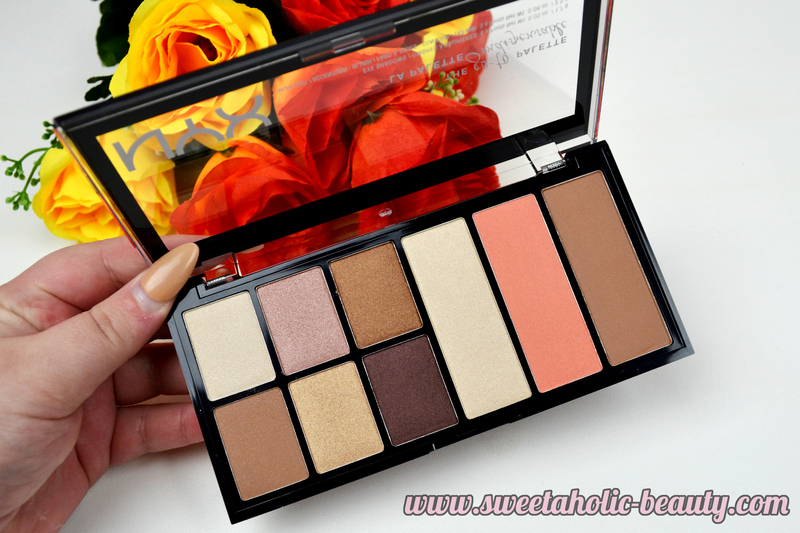 The eyeshadow shades are lovely, and the face shades are basic but workable. I think the major problem I do have with this is that it's missing a mirror. Not a huge deal of course but for something that's marketed as a palette you can use on the go, it seems like something they probably should have added. 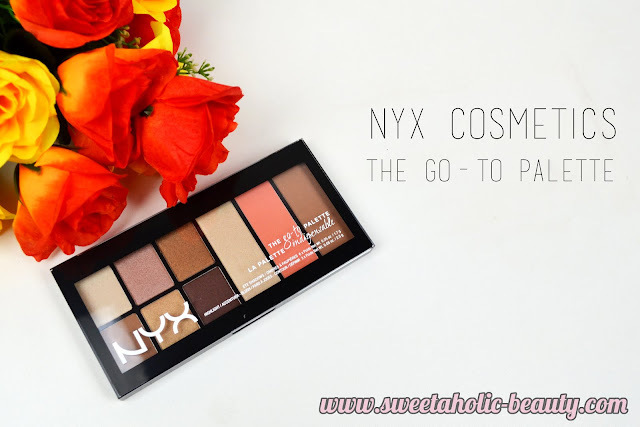 Have you tried the NYX Cosmetics The Go-To Palette yet? If so, what are your thoughts? Great review, lovely! I've been lusting after the other version...the green shadow in it really caught my attention! 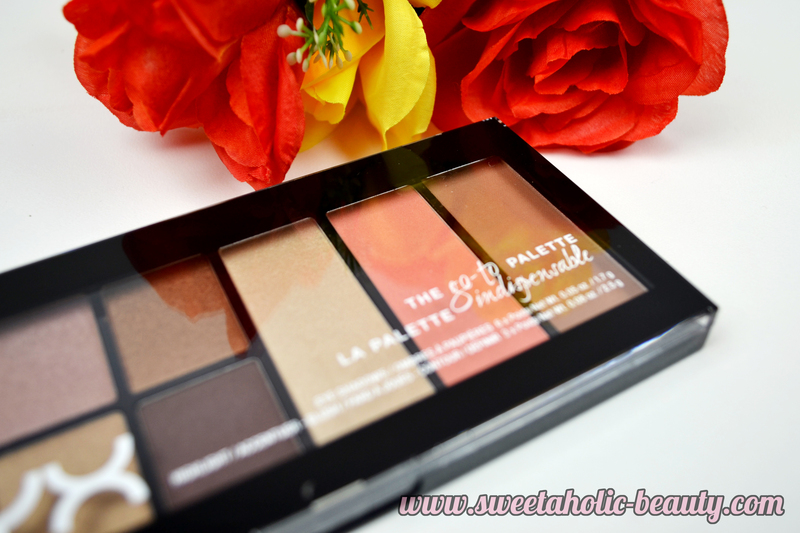 Love the idea of a palette that has everything in it, makes it so much easier to pack for a short trip away. Thanks for the honest review. I can see the swatches, dark shades are really beautiful but the lighter shades do not have good pigmentation. I think this is a universal problem with all drug store palettes. Ooh i haven't seen that one in store yet but I am looking for a neutral shimmer palette . . . will have to check it out!